The Corporate Technology Services (CTS) department of HARTING Stiftung & Co. KG inspects the products to ensure their quality as an independent service provider for the entire HARTING Technology Group. 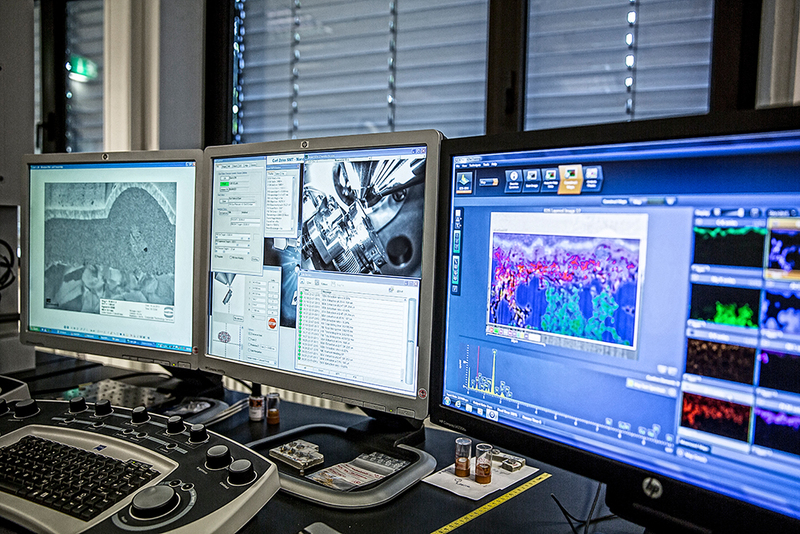 As a HARTING internal laboratory, we have both in-depth testing knowledge and knowledge of the products and their application markets. This enables us to provide competent advice on the test requirements for the different application markets. This laboratory is accredited to DIN EN ISO/IEC 17025 for the testing of electro-mechanical components, electronic and fibre-optic transmission systems, geometries and material properties, in addition to EMC testing for CE-mark certification. They assist with product development and product certifications, design innovative enabling technologies and provide technical consulting. Conformity assessment, efficient and effective qualification of processes and products by providing measuring and testing technology, as well as technical expertise. Download "Annex to the DAkkS Accreditation Certificate"
Transforming customer wishes into concrete solutions Overview of all test spectra and services.